Kate ships tons of fictional couples, but IRL her OTP is her and Mick, the hot quarterback she’s crushed on since, like, forever. With only one semester left of senior year, it’s now or never if she wants to land him in time for prom. Since she’s flirtationally challenged, she enlists Cooper Callihan, the guy who turned popular seemingly overnight but who used to be a good friend. Cooper lives and breathes rowing, but his partner just broke his wrist. When he remembers Kate’s good with a set of oars, he strikes a deal: help him train, and he’ll make sure her crush notices her. Only he didn’t know how addicting spending time with her would be. Or how the more successful the Operation is, the more jealousy he experiences. The mission has been set. The troops have their marching orders. But what if the target is the wrong guy all along? Swoon-tastic, adorable and delicious! I flew through this book faster than Cooper and Kate could have ever rowed. I mean that in the best way possible. It has been a long time where I was able (and wanted) to not put a book down for a second. 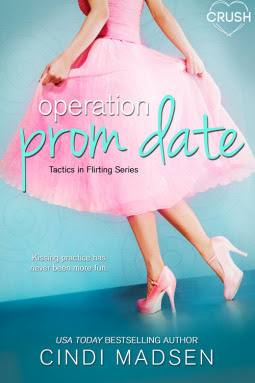 I started Operation Prom Date on a Friday night and finished it Sunday afternoon. I adored every second of this adorable romance and I could not ship these characters any harder if I tried. We start off our story with Kate, who is some-what of a loner and prefers to stick to herself. However, all she wants for her senior year goal is to land her crush for prom. Definitely not the easiest feat when you're shy, your best friend has abandoned you, and your crush is one of the hottest guys in school. However with the help of an old friend, Kate sets out to get exactly what she wants and I couldn't have loved following her more. Especially that she is a math nerd and I'm a math teacher, easy soft spot for our protagonist! Kate isn't the only star of the show though. I adored Cooper and everything he stands for with his intelligence, blonde locks, and Kanye-scale abs he is everything you ship for in a boy. Then, there's Kate's mom who constantly had me laughing. She reminded me of my mom actually. It makes me so happy when an author can create a character that connects to something you love in your life. Overall, this contemporary story was everything I look for in a fun, but adorable romance. I loved it from the very beginning up until the very end. 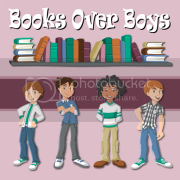 If you want an quick, charming story with perfect references, characters, romance, parents, and pets (can't forget the pets) this is definitely a story for you. Cindi effortlessly weaves so many amazing qualities into this story and I cannot wait till her next one!